L'offre gratuite du jour pour ApowerREC 1.1.3 était valable le 3 juin 2018! ApowerREC est un enregistreur d'écran professionnel pour Windows. Il a une assez bonne performance d'enregistrement et peut enregistrer n'importe quoi sur votre écran d'ordinateur, y compris vos activités de bureau, vidéos en direct, cours en ligne, réunions Web, etc. Vous pouvez choisir d'enregistrer en plein écran ou sur audio, et vous pouvez également ouvrir votre webcam et l'enregistrer avec votre écran simultanément. * Partage sur YouTube / Google Drive / Drobox en un clic. NB: La licence est fournie pour 1 an. ShowMore offre un outil d'enregistrement d'écran totalement gratuit et en ligne, qui fonctionne bien sur Windows et Mac. Il n'a aucune limite de temps dans l'enregistrement et sans filigrane. Il prend en charge l'écran d'enregistrement / webcam avec son système, microphone ou les deux. De plus, il permet de faire des retouches en temps réel pour rendre votre vidéo plus instructive. 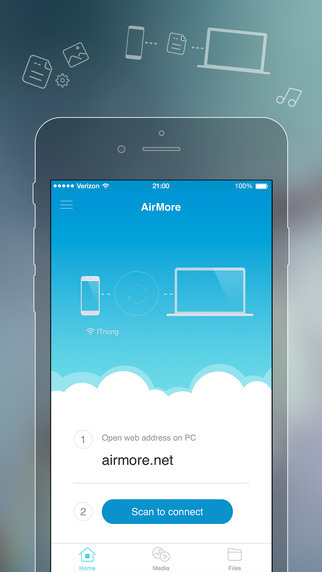 AirMore vous permet de connecter sans fil votre appareil mobile au PC et de transférer des données sans aucun problème. Vous avez juste besoin de l'ouvrir dans votre navigateur Web sur PC et de scanner le code QR. Après cela, toutes les données sur votre téléphone mobile seront affichées sur votre ordinateur. Capture d'écran en ligne gratuite est une application de capture d'écran basée sur le Web, qui vous permet de capturer tout ce que vous voyez sur l'écran en tant qu'image et de faire des retouches en ajoutant du texte, des flèches, des lignes et bien d'autres. De plus, le téléchargement et le partage d'images sont également disponibles avec cet outil. 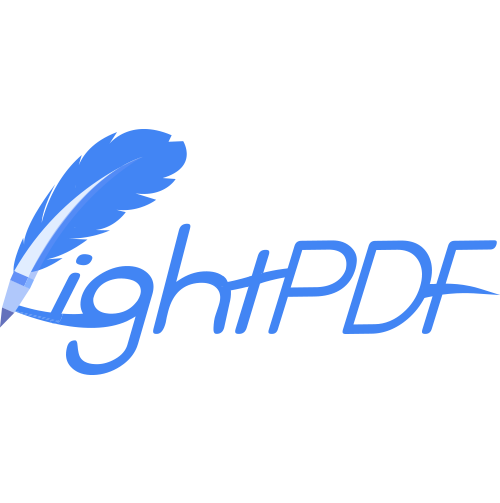 LightPDF est une excellente plate-forme intégrant des outils de conversion et d'édition de PDF qui peuvent répondre à tous vos besoins en matière de PDF. Il peut vous aider à convertir des formats PDF en Word, PPT, TXT et des images comme PNG et JPG, et vous permet de convertir des fichiers Word, Excel, PPT ainsi que des images PNG et JPG en documents PDF. En tant que plate-forme tout-en-un d'outils PDF, elle vous offre des outils utiles pour éditer PDF, PDF OCR, compresser PDF, signer PDF, fusionner et diviser des fichiers PDF, ajouter un filigrane aux documents PDF, etc. 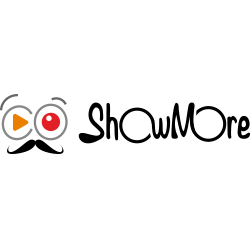 Thank you for using ApowerREC. On behalf of Apowersoft Customer Service Team, I would like to extend my sincere gratitude to you for your support. Here are some useful tips that can help you activate ApowerREC successfully and use it in a better way. If you have any suggestions for further improvement or problems when using ApowerREC, please let us know. You can either send feedback along with a product log file from the program by clicking “Help” > “Feedback”, or directly send email to us at support@apowersoft.com. We will get back to you as soon as possible. Hope you enjoy using our program! Jane from Apowersoft, may I please enquire as to what justifies a subscription model of licensing for a desktop screen recorder/capture utility? What non-optional operationally critical ongoing service is being paid for by the subscription payment? Do you provide a lifetime license for this product? If you do why didn't you offer it but without updates and support or re-install rights like a proper giveaway? Jane from Apowersoft, may I please enquire as to what justifies a subscription model of licensing for a desktop screen recorder/capture utility? What non-optional operationally critical ongoing service is being paid for by the subscription payment? Do you provide a lifetime license for this product? If you do why didn't you offer it but without updates and support or re-install rights like a proper giveaway? So i thought i would try out this screen recorder and it is pretty good, but I will list more below. Program runs smooth as does the playback. When you record a region of screen you can move the region while recording and that's great. From reading posts here I see the Dev is active, which is a major plus. Audio setting easy to access and change. Pretty easy to register and quick also another plus. You can chose your own hotkeys for many features. Program has multiple languages also a plus. Many different output formats is great. Webcam can be recorded as well and can be placed anywhere on screen. Other con is i would have liked to see a couple more features in program like the ability to send file to youtube or other service. I would have also liked the ability to live stream. That pretty much everything in Pro con list thou i have some after thought. The program can be purchased by itself or in a bundle using subscription i think $59.95 a year for all their programs and I think there are 13 in the bundle..
You can get subscription for the program alone for I think $39.95 a year or $12.95 a month. All info above is for Personal license and Business is different. I dont see a all in one perpetual price for all their programs in one bundle. I like the program and could see myself buying the perpetual license in near future. I have other programs that do many of the things I want and that I listed above. I will be checking out some of their other programs just to see what each has to offer. Good job guys thanks for the 1 year license. because that latter figure has to be the daftest I've ever seen for a product with so minimal an ongoing producer maintenance cost overhead as this. I like to patronise developers who partner with GOTD if their software is (a) good and (b) value for money. Today's developer rules itself out by some considerable distance if, as you say, it wants $13 payable for. . . four. . . WEEKS. . . usage. Who are they: Adobe??? Zathra, I really hope that the developer's representative will come on here to reassure everyone that this screen recorder software -- which doesn't require hour-by-hour updating as does an anti-malware program -- <b>isn't</b> as you described thus: <i>You can get subscription for the program alone for I think $39.95 a year or $12.95 a month</i> because that latter figure has to be the daftest I've ever seen for a product with so minimal an ongoing producer maintenance cost overhead as this. I like to patronise developers who partner with GOTD if their software is (a) good and (b) value for money. Today's developer rules itself out by some considerable distance if, as you say, it wants $13 payable for. . . four. . . WEEKS. . . usage. Who are they: Adobe??? Download, registration and activation – not easy – The activate isn’t under account name as it says in the readme – I think it’s under the three lines for menu. Anyway, this wasted a few minutes trying to figure it out – but okay, that’s not much time. I did a test record not changing any settings. The interface for me was clear, easy to use and the sizes I wanted were there. It recorded the sound and visual perfectly. I was very happy with the result except for the cursor. The cursor shows a white arrow with a yellow dot. That’s nice if you want someone to look at the cursor – but if you have a custom cursor or an image for a game and you want to do the screen recording of the game – well then this white arrow with the yellow dot obscures your actual graphic and people won’t know that it is part of the software and not part of the game. I do like that it puts the toolbar in the corner before minimising it. I still would like screen recorder software that leaves the controls on the screen all the time and just doesn’t record them, so I don’t have to go looking for them afterwards. There was an option to edit the video (Tools – Apower Edit) but pressing that button took me to their website to either work on it there or download more software. The more button will do the same. Would I be able to use this software? No, because it’s personal use only - anything you record to publish is well, not personal use. Would I buy it for $40 to get a commercial version? No, there’s cheaper software around that’s just as good. Download, registration and activation – not easy – The activate isn’t under account name as it says in the readme – I think it’s under the three lines for menu. Anyway, this wasted a few minutes trying to figure it out – but okay, that’s not much time. I did a test record not changing any settings. 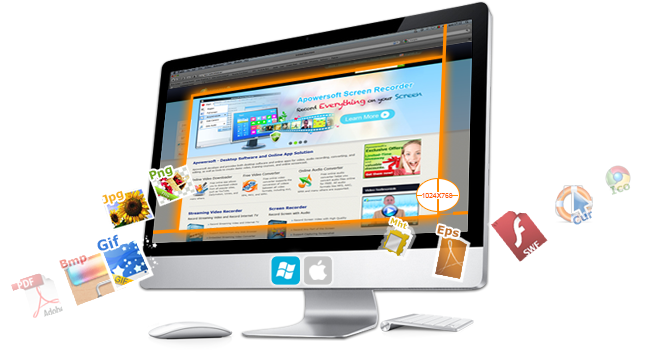 The interface for me was clear, easy to use and the sizes I wanted were there. It recorded the sound and visual perfectly. I was very happy with the result except for the cursor. The cursor shows a white arrow with a yellow dot. That’s nice if you want someone to look at the cursor – but if you have a custom cursor or an image for a game and you want to do the screen recording of the game – well then this white arrow with the yellow dot obscures your actual graphic and people won’t know that it is part of the software and not part of the game. I do like that it puts the toolbar in the corner before minimising it. I still would like screen recorder software that leaves the controls on the screen all the time and just doesn’t record them, so I don’t have to go looking for them afterwards. There was an option to edit the video (Tools – Apower Edit) but pressing that button took me to their website to either work on it there or download more software. The more button will do the same. Would I be able to use this software? No, because it’s personal use only - anything you record to publish is well, not personal use. Would I buy it for $40 to get a commercial version? No, there’s cheaper software around that’s just as good. Hello, I have used this program for years now and it's been good and reliable, my gripe is that most companies, including this one, are getting to charge annual fees for the use of their apps or just limiting them for one year, either case is going to damage their marketing, this is acceptable for big expensive software e.g. Microsoft, Adobe, modeling software, etc.but NOT for rinky dink companies that rely on their retail sales like this one, what's the sales setback you are wondering? Well, people like us will simply look elsewhere for better deals, other companies will make similar software at lower prices to compete, open source programs will definitely fill that need, etc. so I personally wouldn't worry about getting these type of deals even if the software can perform well enough.